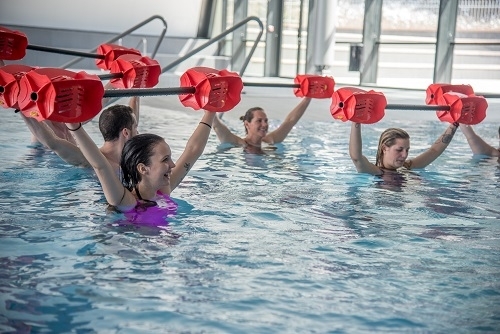 Entrance to« Aquamotion Courchevel » facilities may be reserved online or by phone: water and sports activities, treatments and Spa & Balnéo packages and gift vouchers will hereafter be named “Services”. In order to secure commercial relations with any person making online or phone reservations, (hereafter named ‘the customer’), Aquamotion Courchevel has entirely drawn up the present terms of sale. The present terms of sale define the rights and obligations of Aquamotion Courchevel and the customer within the framework of reservation of services online or by phone. The customer declares he has full legal capacity allowing him to bind himself to the present general [...]terms of sale that is to say to be at least 18 years old and not to be under tutorship or guardianship. All purchases of services on the site www.aquamotion-courchevel.com or by phone assume the customer has consulted beforehand and has completely accepted and without reservations, the present terms of sale. The present terms of sale may be consulted and are available to customers upon request. The present terms of sale will be forwarded following a request by email. We advise the customer to download them and/or print them to keep a copy. The present terms of sale express fully the obligations of the customer and Aquamotion Courchevel. Any other document than the present terms of sale and notably catalogues, brochures, advertisements, newsletter are only indicative and therefore non-contractual. The present terms of online and phone sales are valid from 26th July 2016. They cancel and replace all previous versions. Only the terms of sale in effect at the time of reservation on-line or by phone are binding to the customer. The present terms of sale apply from the date of the customer’s reservation until his departure from Aquamotion Courchevel. The services offered by Aquamotion Courchevel comply with French legislation in force. Aquamotion Courchevel may not be held responsible in case of non-conformity with legislation in a third country. Opening times and activities may be subject to changes without prior notice. All our tariffs are quoted tax included. The tariffs displayed are in €uros including taxes and are subject to change without prior notice. Unless it is a special offer, applicable tariffs are those in force at the time of reservation. A client having booked is not eligible for retroactive discount offers published on-line after the customer’s booking. The prices displayed only include the activities and/or treatments included in the descriptive of services reserved and do not include personal expenses not included in the package chosen. According to the service bought, a deposit bracelet may be requested at reservation. It is specified in the description of the service concerned. This guarantee deposit will be returned to the customer at the end of the service at the reception of Aquamotion, in exchange for the bracelet. The bracelet must function perfectly and must not be damaged, voluntarily or not. The customer guarantees that he is fully authorized to use the means of payment supplied for the payment of his order and that it has access to sufficient funds to cover the cost of the purchase of the service. For all bookings online or by phone, internet offers, the amount must be paid in full (100%) at the time of reservation. The confirmation of the customers’ bookings by Aquamotion Courchevel is subject to cashing the total amount owed according to the means of payment. 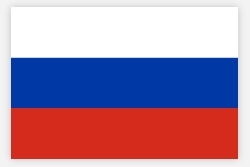 The confirmation of reservations sent to the customer states the services booked. The tariffs indicated are those corresponding to the dates of stay indicated on the booking confirmation. When the reservation has been completed, the booking is treated as firm when the payment online by credit card has been made. Supplementary services to the booking made at reception must be paid directly at reception or at a sales point where they have been bought. No deduction will be made for services not used or for treatments not made. Aquamotion Courchevel sells gift vouchers. These vouchers are sent by email either in the form of a credit note, personalized with the name of the person, and of the fixed amount paid by the customer at booking, or a gift voucher corresponding to a definite service stated on the voucher. This voucher may then be printed by the customer to be given and the beneficiary can then use it at Aquamotion in the Aqualudique and Aquawellness areas, at the Spa & Balneo, at the surf wave, at the climbing wall and at the Speedo concept store. These gift vouchers are nominative. They are neither transferrable nor refundable. The gift voucher cannot generate a credit note. The voucher may be used until the end of the season in which it was bought. During the purchase, the customer declares that he has had a prior check up with a doctor to verify his aptitude of practicing this sport. The Management of the centre brings to users notice that certain activities at the centre may prevent risks for their health. The centre strictly advises users in bad health or with health problems such as heart problems, breathing or bone problems not to do activities that may make their health problems worse. Certain balneo treatments and aquatic activities are contraindicated to people with inflammatory illnesses, infectious pathologies, non controlled epilepsy, severe depression and heart complaints. It is the responsibility of pregnant women to state their pregnancy when booking. Saunas and steam rooms are contraindicated for pregnant women but they may receive certain balneo treatments on presentation of a medical certificate. For safety reasons, no balneo treatments may be given to babies, children and adolescents under 16 years of age. Between 16 and 18 consent by legal guardians is compulsory. 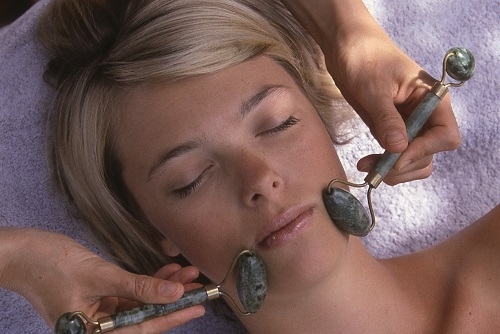 From 14 years of age, adolescents may enjoy Spa and beauty treatments. If, subject to Aquamotion Courchevel agreeing, requests to change and prolong stays, increase the number of persons, or add another service, only the price of the changes will be added as extras. In the case Aquamotion Courchevel does not agree to requests for changes, Aquamotion Courchevel may not be held responsible and if the customer wishes, following this, to cancel his booking, the cancellation terms of article 9s will apply. Any changes to dates of services concerned, subject to Aquamotion Courchevel accepting, 30€booking fees will be charged for every package reserved. For any change concerning the number of persons or the cancellation of one of the services booked, the amount for the initial booking remains owed. Any transfer of a stay to a third person is not possible in accordance with article L211-11 of the Code of Tourism. Customers are reminded in accordance with article L.121-20-4 of the Consumer Code that they have no right to retract provided in the article L.121-20 of the Consumer Code. Any cancellation for an appointment for treatment , treatment package or activity ( Surf wave, climbing, childrens’ activities) less than 48 hours in advance results in the loss of the gift voucher or of the amount paid at reservation. In case of cancellation for health reasons, the customer must supply a medical certificate justifying his incapacity to respect the contract he has made with Aquamotion Courchevel. Any non presentation for treatment or activity will be considered as a cancellation and may not be reimbursed. 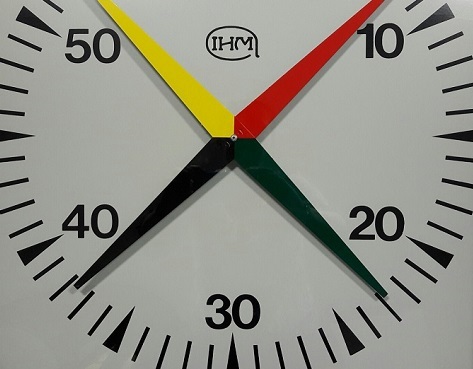 If the customer is late for the start of the treatment or activity, the treatment or activity will finish at the time scheduled. 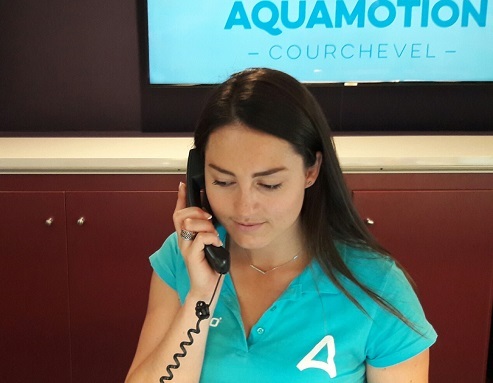 If Aquamotion Courchevel is obliged to cancel a service paid by a customer, Aquamotion Courchevel will inform the customer and propose the same service at another date to the customer. The customer may accept or if he refuses, he may ask to be reimbursed (without penalties or expenses) only the amount paid for this service. The reimbursement will be made according to the choice of Aquamotion Courchevel by crediting the customer’s bank account. This information must be confirmed to the customer by registered letter with acknowledgement of receipt and the customer must state his choice to Aquamotion Courchevel without delay. If the cancellation is due to unforeseeable circumstances or force majeure, the customer may claim no compensation: we understand by unforeseeable circumstances or force majeure any event not coming from the two parties that is unforeseeable and insurmountable as recognized by jurisprudence and French tribunals and which stops Aquamotion Courchevel from carrying out all or part of the services paid for by the customer. The management as well as the staff reserve the right to refuse entry to anyone who does not appear clean, sober or in decent clothing. The customer agrees to respect the health and safety instructions posted on site. Access to the aquatic areas and the Spa & Balneo Aquamotion is forbidden to anyone showing an open wound or oozing lesions. The customer may not bring from outside either drinks or food. It is forbidden to smoke in public places and this applies to Aquamotion Courchevel. In general, Aquamotion Courchevel can in no way be held responsible in cases of customers using facilities and equipment at their disposal incorrectly. It is the customer’s responsibility to respect the safety instructions laid down and displayed within the facilities. When the customer buys a service, he declares that he has been checked by a doctor to see if he is fit to practice a sport activity. The management draws attention to customers that certain activities in our centre may present risks for their health. The centre formally advises customers in bad health or presenting a health problem such as a heart, breathing or bone condition not to practice activities susceptible to make their medical condition worse. All the activities are supervised by qualified staff, possessing diplomas recognized for this activity. 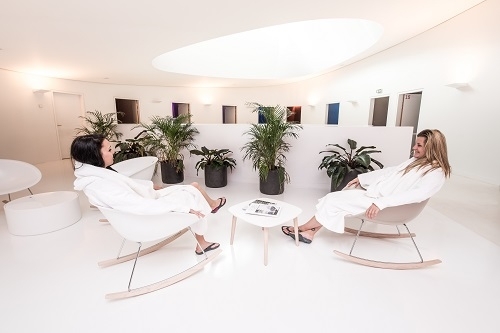 Aquamotion Courchevel has administrative regulations available for consultation on site and the customer commits to familiarizing himself with them before the start of his stay or accessing facilities and commits to respect them. They may be downloaded from this site or will be sent by email upon request. In all circumstances correct attire must be worn. Any behavior or remarks contrary to public decency or disorderly conduct will cause Aquamotion Courchevel to ask the customer to leave the premises without any reimbursement if a payment has been made or compensation. The customer commits to not inviting people whose behavior is susceptible to cause prejudice to Aqumotion Courchevel. The latter reserves the right to intervene if necessary. The services proposed are in accordance with French law in force. Aquamotion Courchevel may not be held responsible in case of non conformity with the law of a third country. Aquamotion Courchevel may not be held responsible for the non-implementation or for carrying out badly a reservation in case of force majeure, or an act of a third person or of the customer. Photos, graphic representations and descriptives on the site www.aquamotion-courchevel.com or in Aquamotion Courchevel brochures are not contractual. The customer is therefore not entitled to complain or receive compensation because of this. According to the article L.321-1 of the code of sport, the centre is insured for damages resulting under its civil liability, those of its teachers and its employees. However, it may in no way be held responsible if the damage results from customers not obeying the safety rules provided in the regulations for the different areas, for inappropriate use of facilities and equipment or of attendees. -For the activities he has chosen. The cloakrooms of the centre Aquamotion are not supervised. Users must not leave their personal belongings outside the lockers for this purpose. The lockers are in no way safes. Their locking system is not designed for valuable objects. 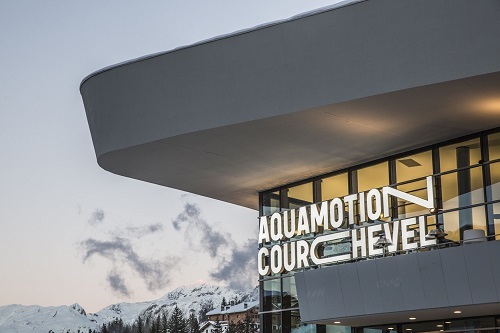 Aquamotion Courchevel declines all responsibility in case of loss, damage or theft of valuable objects, watches, mobile phones, tablets, jewellery … within the centre. Aquamotion Courchevel declines all responsibility in case of theft, damage or breaking and entering of vehicles parked in the car park of the site. Information required of customers is necessary to deal with their reservation and will be recorded in the Aquamotion Courchevel data basis. If they are not recorded Aquamotion Courchevel will not be able to handle the booking. The customer can write to Aquamotion Courchevel, the contact details are stated in the article ’Confirmation of reservation’, to use their rights to access, or oppose for legitimate motifs or without motif concerning prospection and rectification, concerning information and for handling in accordance with the law of 6th January 1978. Aquamotion Courchevel declares that it has fulfilled all formalities that may be required by the National Commission for Information Technologies and Liberties. The conformation the customer communicates to Aquamotion Courchevel when booking is not transferred to a third party. This information is considered by Aquamotion as confidential. It is only used internally by the administrative services of Aquamotion Courchevel to deal with the customers booking and to strengthen and personalize communication and offers for Aquamotion Courchevel customers. The customer is able to consent to receive direct offers by email or by post. The customer is able to oppose, by registered letter with receipt or by email for the data being used for prospection purposes, notably commercial prospection. All the texts, images and sounds on the web sites www.aquamotion-courchevel.com are reserved in accordance with intellectual property worldwide. The present terms and conditions of sale does not transfer any rights of intellectual property of any sort on elements belonging to Aquamotion Courchevel or any rights belonging to them such as photos, images, literary texts, artistic works, brands, graphic charts, logos to the benefit of the customer. The internet user who has his own personal web site and wishes to place, for personal purposes, on his site a simple link directly to the home page of www.aquamotion-courchevel.com must obtain prior and explicit authorization from S.A.S Aquamotion to establish this link. In any event, hypertext links made to the web site www.aquamotion-courchevel.com must be removed at the first request of S.A.S Aquamotion. The law applied is French law. In the event of a dispute, and where the parties fail to reach a settlement, the court to be seized will be the Tribunal de Chambéry.